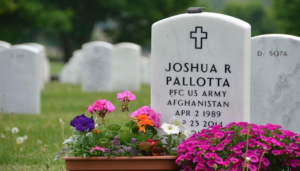 The Josh Pallotta Fund is supported by a diverse group or dedicated people serving in their own way. Our Team is made up of Veterans, family, clinicians, and community, and lead by our Directors. Valerie Pallotta is the Mom of Josh Pallotta. Since Josh joined the Guard in 2009 Valerie has been involved with the former Parent Network through the Vermont National Guard and the National Guard Family Programs. She is the chartering President of Blue Star Mothers of Vermont a non-profit 501(c)3, chartered in 2011. Valerie has studied Aromatherapy since 1993 and has always had an interest in Post-Traumatic Stress (PTS) and the many ways in which Complementary and Alternative Medicine (CAM) could be integrated into traditional therapies to support Veterans. CAM therapies were always an interest to her as an Aromatherapist as well as through her training in Healing Touch and Energy Medicine. 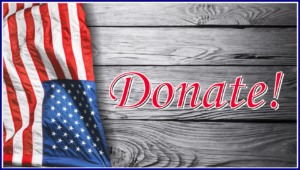 After Josh’s suicide, Valerie’s mission focused even more with what our Veterans need and how we can help, what they aren’t receiving, or choose not to receive at the VA or other medical resources. Val has always had a vision for a Veteran transitional wellness center; even before Josh returned home. She envisioned a place that would be a respite retreat space for Veterans to receive respite and relief from what they were experiencing or to obtain resiliency tools they may not have been aware of or had access to. After Josh ended his life, she knew she needed to pursue this passion and vision even more. She has a passion for advocating for our Veterans and won’t stop until there is an end to Veteran suicide. Matija Gubic served with Josh during the 2010 deployment to Afghanistan. He believes that post-war Post-Traumatic Stress (PTS) is a very serious condition that can make it very difficult for war Veterans to reintegrate back into society. Society expects Veterans after a certain amount of time to get “well”, but very often this is not the case. Very often Veterans turn inward, and became closed off to others because they can’t find anyone who really understands how they feel and why they feel that particular way. Many times the best remedy is to meet with other Veterans and just talk among each other and socialize. Matija believes that having a more tailored program geared towards this goal would be a great alternative and would complement current treatment options. Sarah Paquette, DC has worked with veterans since 2009 in both an outpatient VA setting as well as in private practice, managing complex cases including central and chronic pain syndromes, physical and psychosocial comorbidities, substance abuse, rare pathologies, polypharmacy, and PTS/TBI. In that time, Dr. Paquette has managed a diverse patient base at a high volume multidisciplinary clinic while working to strengthen the network of providers co-treating her patients. Dr. Paquette is a 2009 alumna of New York Chiropractic College. A native Vermonter, she has advanced training in sports medicine and rehab including ROCK Taping technique, women’s health, pregnancy and pediatric care, ergonomic assessment, myofascial release and soft tissue therapies. A former competitive athlete, Dr. Sarah enjoys photography, art and writing as well as hiking, travel, and pretending she has time for any of these hobbies while chasing after her two children.